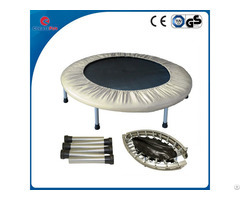 1.Trampoline Material--Steel tube + PP+bungee cord. 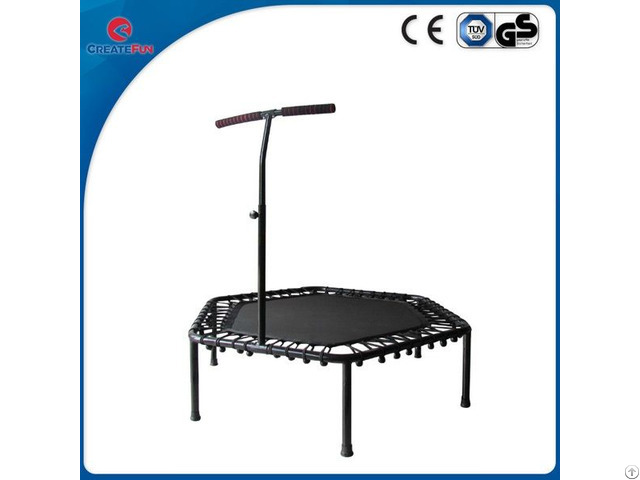 2.Trampoline Handle-- Adjustable to max 150. 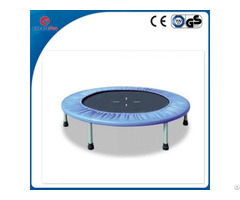 5.Jumping Mats---PP Mat from USA, UV-resistant, heavy-duty and durable, PAH test. 7. Bungee cord---Added elastic bands to strengthen the elasticity. 8.Suitable For--Suitable for kids and adults. 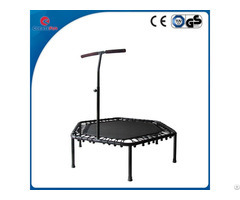 10.Usage---Put in gardens, amusement park, school, fitness clubs, home and so on. 13.OEM orders--- Accepted, customized color and logo.